A popular misconception suggests that only children with severe psychological or behavioural problems need counselling. The truth is much more nuanced. Children counselling can help children with a range of issues, including the everyday stress of childhood. Therapy isn’t for broken or bad children, though it can certainly help even these kids. Instead, it offers a welfare boost for all children, helping kids move out of unhealthy behaviour patterns and adjust to life’s challenges. If you’re worried about your child, don’t wait till he or she is in serious trouble to seek counselling. Counselling can benefit your child right now. Here are the most common reasons parents seek therapy for their children. Drug and alcohol use is more common among teenagers than you might think. Studies consistently show that more than half of adolescents have tried alcohol and drugs. Left unsupervised and without intervention, casual use can quickly turn into an addiction. It can also severely disrupt your child’s healthy development. If your child is using drugs or alcohol, it’s time to seek outside help. If your usual discipline tactics have stopped working, or if they appear to be making things worse, don’t let things escalate out of control. Therapy can help with a range of behavioural problems, including disobedience, sneaking out, tantrums, sibling fights, and other common issues. Friends can enrich the life of every child, offering additional support at school and helping children master the social skills that will serve them well for a lifetime. When a child can’t make friends, a school can become a place of immense stress. Children who cannot make friends may also be exposed to bullying. Therapy can help your child master basic social skills, overcome social anxiety, and better understand the barriers she faces to strong friendships. Family life isn’t easy. After all, you have multiple people with different personalities and different interests living under the same roof for years on end. Conflict is almost inevitable. If your family is constantly fighting, counselling can help you understand the underlying problems so that you can fix them. 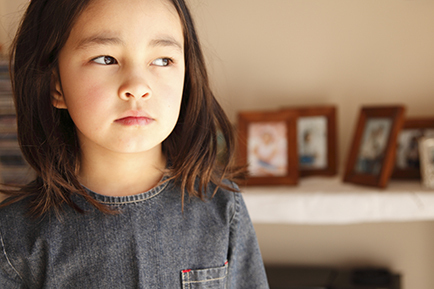 Even “good” low-conflict divorces are challenging for children. And if you and your ex are endlessly fighting, your child’s living situation has changed, or you can’t agree about custody, it is inevitable that your child will be affected. The more difficulties you and your ex have getting along, the worse, it will be for your child. Counselling helps your child cope, while offering you piratical ideas for managing your divorce, controlling your emotions, and getting along with your ex. About 10% of children struggle with a mental health issue at some point. Your child is not choosing depression, anxiety, or ADHD, and you cannot punish him out of these behaviours. Counselling can help you find ways for your family to manage your child’s symptoms, offer your child insight into her condition, and help you all move forward into happy, productive family harmony. A school is a lot like your kid’s job. It has its unique stresses and challenges, and some children feel they just don’t fit in at school. Others can’t seem to master the academic routine or get their homework done. If your child struggles at school, it’s not his fault. We can help you understand what the problem is, aid your child to do better at school, and help both you and your child move beyond endless fights about education and academic achievement. Level 11, 118 Queen st.
Level 5, Suite 503, 425 Burwood Hwy. ©2019 The Three Seas Psychology Group, All rights reserved.